No matter how much you like cold-pressed juice, it was hard to make an argument for actually buying the Juicero, a WiFi-connected juicer. The product, which originally sold for $699, turned proprietary, barcoded fresh fruit and vegetable packets into juice. 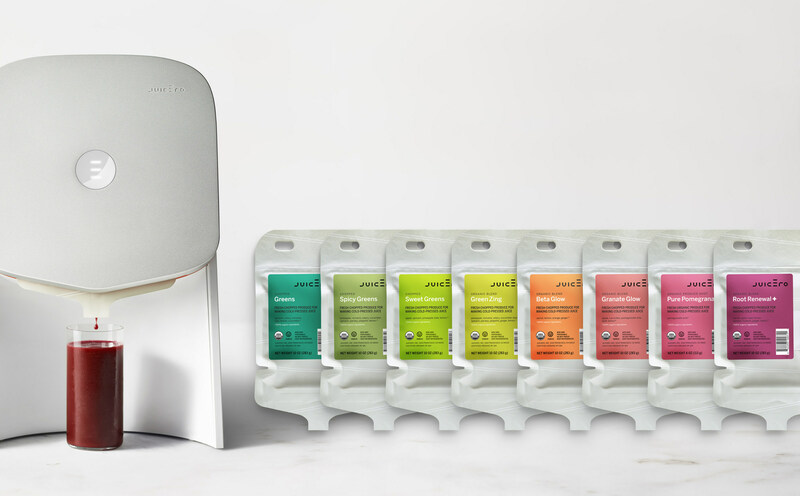 Now Juicero is going out of business, and these machines will likely become pricey doorstops. Let’s back up, since you may not have heard of the Juicero. It’s a cold-pressed juice machine, but with a catch: The machine only works with Juicero’s own packets of diced produce, which in turn only work with Juicero’s machine. If a packet is expired, the WiFi-connected juicer won’t let you use it. There were two arguments for this, other than creating an indefinite revenue stream for Juicero the company. First was ease of cleanup: It’s much easier to clean and maintain a juicer that doesn’t actually come in contact with or crush the produce. Second, Juicero wanted control over the produce that customers used, ensuring that they used only fresh and organic fruits and vegetables in pre-determined recipes. Founder and original CEO Doug Evans explained in an interview with Recode that the device used WiFi to make sure that produce was fresh. But having a barcode-controlled juicer meant that customers couldn’t throw in, say, even fresher spinach and carrots from their own garden or community-supported agriculture share. As if the idea of DRM-controlled fruit and vegetable packets weren’t already ridiculous enough, reporters at Bloomberg pointed out that you don’t need the device to extract juice from the packets. The mechanism that extracts the juice is actually in the packet, even though the company talked up the juicer itself as extremely powerful. This was a product for people who don’t take their juice too seriously, yet somehow also take it seriously enough to receive proprietary produce shipments and pay $700 for a juicer. There was a market for this product, but it was a small one. Whole Foods stores incorporated them into DIY juice bars, and some Le Pain Quotidien restaurants added them as an easy way to sell pricey cold-pressed juice to customers. LiveNation put machines in its offices, like an incredibly health-conscious break room Keurig. How did this even get funded? Investors in Silicon Valley thought that Juicero was an awesome idea. It was similar enough to successful products like Nespresso, Keurig, and even Dollar Shave Club: Customers make an initial purchase that leads to indefinite purchases of supplies from the company. “Investors are very intrigued by businesses that combine the one-time sale of hardware that ends up leading to repeat purchases of consumable packages,” one investor, who didn’t fund Juicero, explained to Bloomberg. The company drew investors like the venture capital firm Kleiner Perkins, Google parent Alphabet, and basketball star Kobe Bryant. Founder Evans helped start the well-regarded “boutique health food store” Organic Avenue, and was so devoted to plant-based and raw nutrition that he reportedly ridiculed workers at Juicero who ate dairy products. He briefly would only let traveling employees expense meals at vegan restaurants. Evans later stepped down as CEO and has now even resigned from Juicero’s board. The company made pricey products with a limited market, and didn’t actually make money. The company lowered the price to $400 and offered refunds on machines after Bloomberg’s story about hand-squeezing packets, but was still losing $4 million per month. New potential investors had backed out after the Bloomberg story in April. Juicero announced that it would be closing just as reporters and businesses across the country prepared to shut down for the Labor Day holiday. It will give customers their money back if they want refunds. The intellectual property, like patents, could be valuable, and the brand has some happy customers. Whole Foods or its new parent company Amazon would be an obvious candidate to acquire the company, or another organic restaurant or grocery chain. Will that happen? We’ll keep you updated.